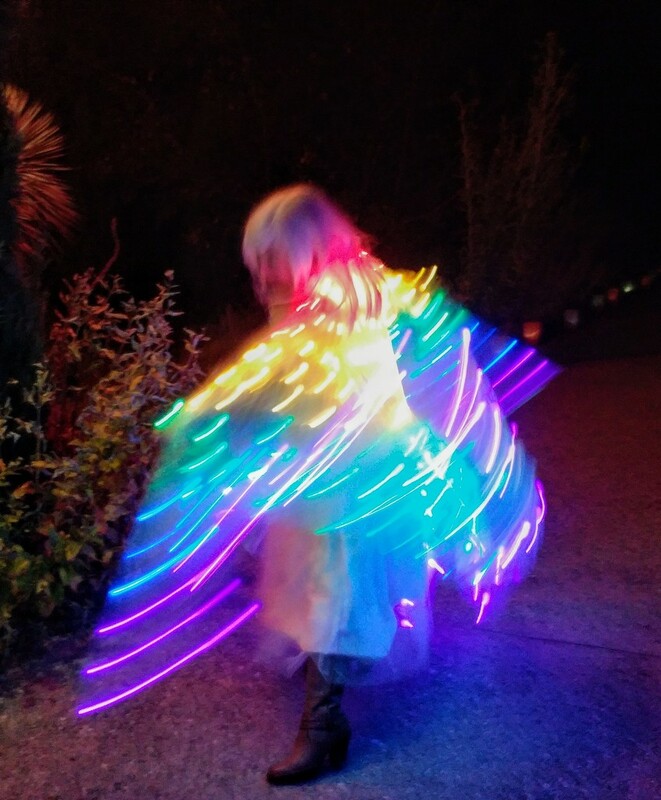 One of the volunteers dressed up at Glow at the Gardens dancing. I liked the colored lights. Best on black. What an unusual and striking image! It does look like an angel. Great capture.